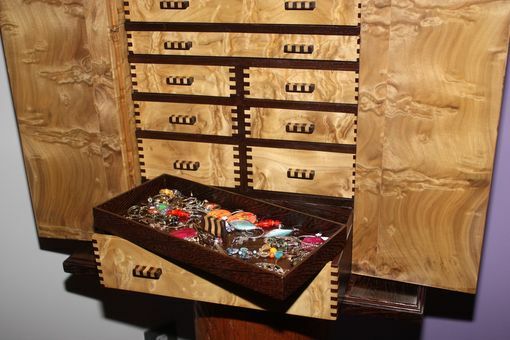 This is a custom Jewelry Box to bring back childhood memories. 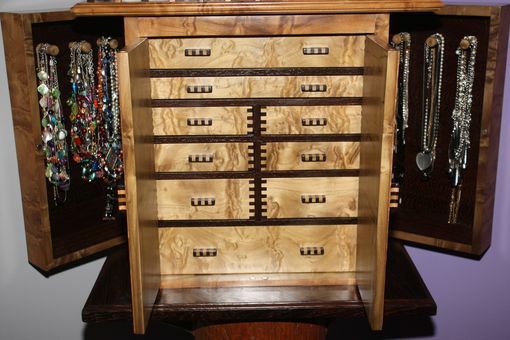 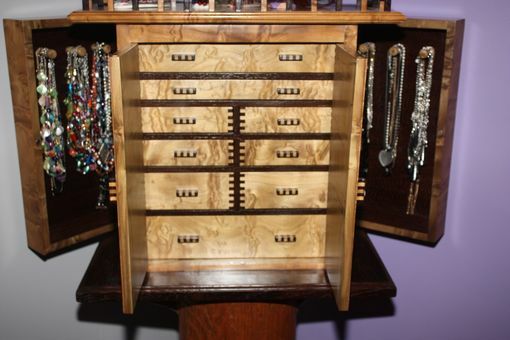 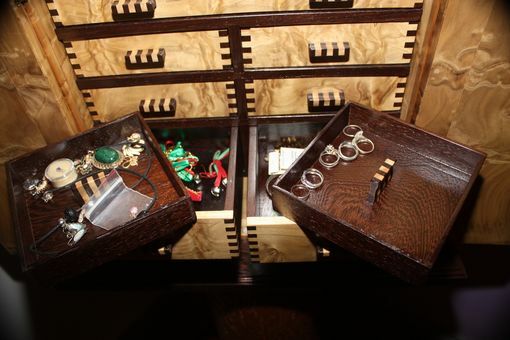 You can store all your treasures in one location fom rings to earrings and all your necklaces. 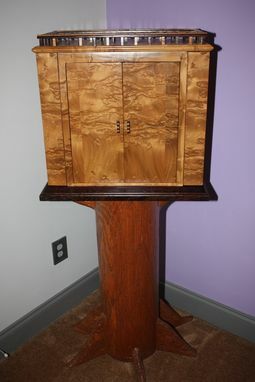 Wood is figured poplar with wenge accents. 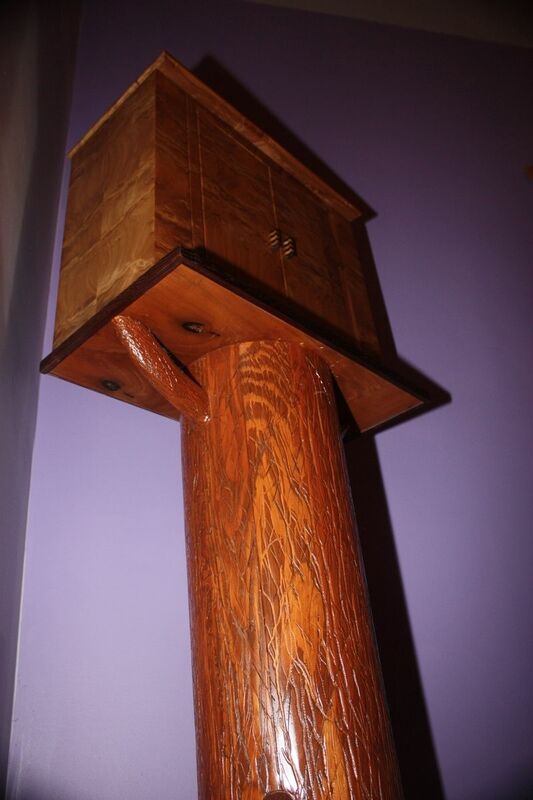 the trunk is made of poplar and distressed to look like bark.